SNS Properties bring EMAAR ; the biggest developer of Dubai to Kenya. More than 20 projects on display in 6 different communities. Post handover payment plans and other exciting offers especially designed for the event. 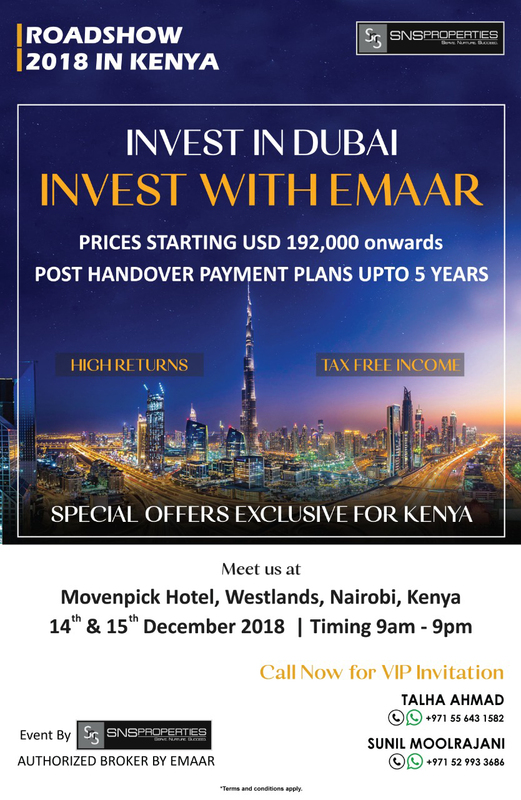 Meet us at Move n Pick Hotel , Westlands Nairobi on the 14 - 15 December 2018 to explore the best investment opportunities.